The biggest furniture, lighting and decoration in Indonesia, IFEX (Jakarta). 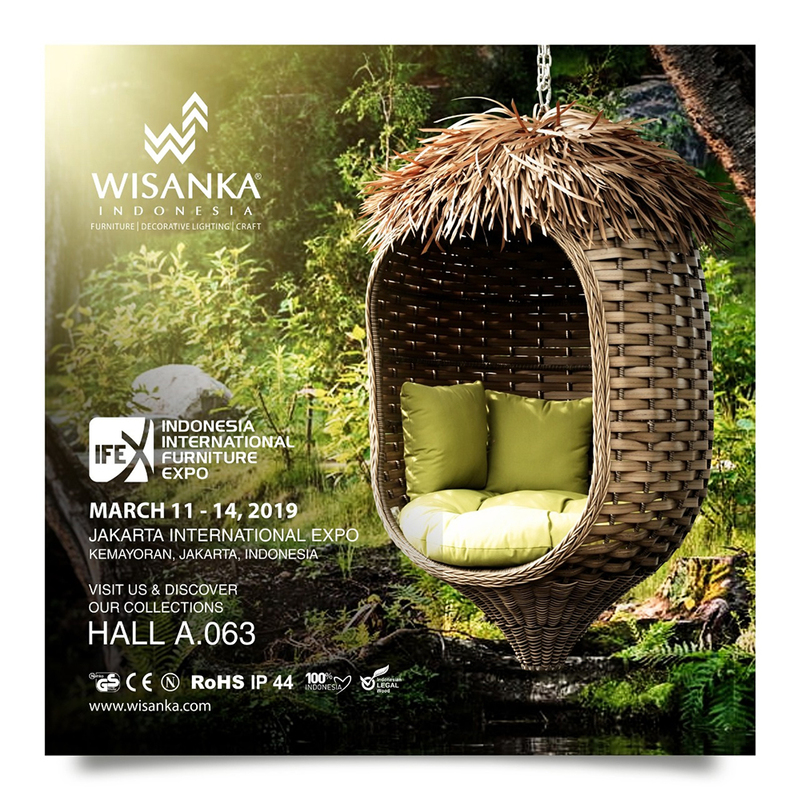 As a gateway to the country’s celebrated furniture and crafts, IFEX is the perfect opportunity to showcase or discover designs inspired by Indonesia’s nature, and brought to life by skilled artisan. The Event is positioned to integrate seamlessly into the peak season of the ASEAN furniture exhibition series, making it an Un – Missable stop in the regional circuit. WISANKA will joint at this event and you are invited ! !